Bisma Amjad has completed her Bachelors of Electrical Engineering from Lahore College for Women University, in 2017. She has done internships in the field of Surveillance RADAR from Pakistan Civil Aviation Authority and in Weather RADAR from Pakistan Meteorological Department. 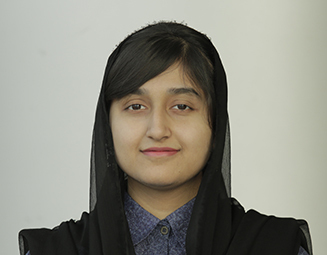 She joined ITU in 2017 as a Masters student and currently working under the supervision of Dr. Tauseef Tauqeer and Dr. Qasim to develop a low-cost Radar Imaging System for concealed metallic-objects detection.